Popped Culture: Who Watches The Simpsons? 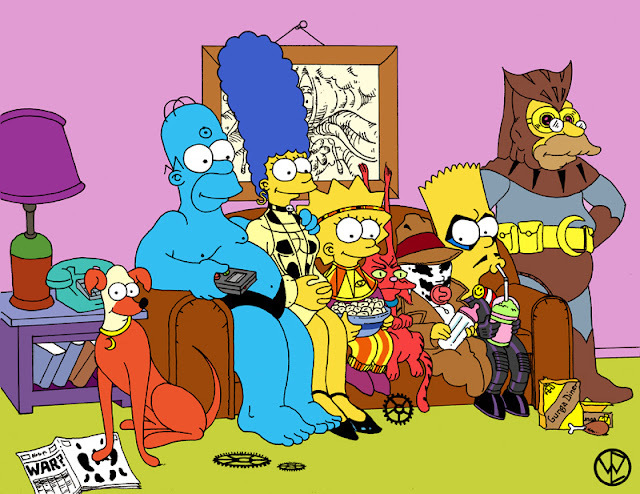 I think Chris Weiermiller nails this Simpson/Watchmen mashup. I thought maybe Bart should be Rorschach, but he really does fight the Comedian's personality and Maggie did shoot Mr. Burns. And I'll Whisper, "Would You Like Fries With That?"